You crack me up -- I always know your shots before I can even see your blue square or your name!! Thanks for the smile again today! This is so clever and funny! HAHAHAHA I needed that giggle, thank you! HAHAHAHA you chauvinist machist brilliant one! This is fabulous! Great one for the garlic challenge. Oh..... Oh!!!!! Love the shine. 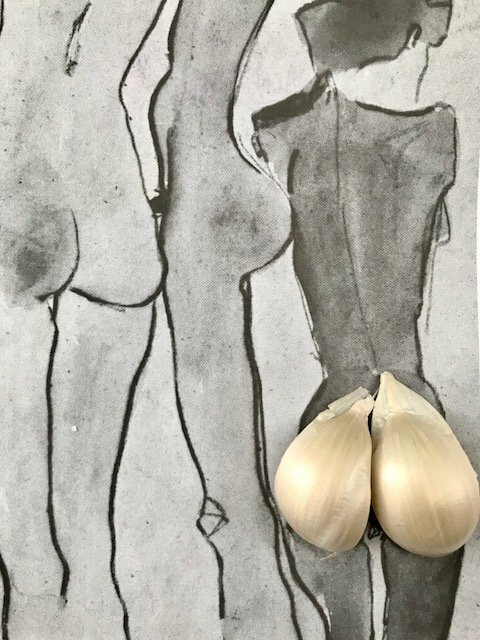 I'll never look at garlic quite the same. You win the challenge, this is awesome! Omg! Too funny! Very creative! Fav! Hysterical and an instant fav! Too fun and funny! Your imagination is amazing! Thank you for the laugh, Joe. I fav this if not for the picture for the laugh. So clever and creative. You crack me up Joey! hee hee hee heee My co-workers looked up when I laughed out loud. @lesip Cracking up!! Wish I were that slim!! Too clever for words...and not terribly mundane either...I've never seen garlic used so creatively! So naughty! And hilarious! Very clever Joey. Hysterically funny - and so very, very clever!!! Hysterical! I missed this one, having computer issues! This made my day! Fav! Excellent photo and excellent models! brilliant - so well done! Ha ha i missed this one....,,,very creative! Congratulations on this making the TT! It’s so fun! Congrats on TT...I loved this one!